The sacral chakra embodies the harmony of opposites and Taoist belief. The Tao, or the way, sees everything as Yin (receptive earth) and Yang (expansive sky.) 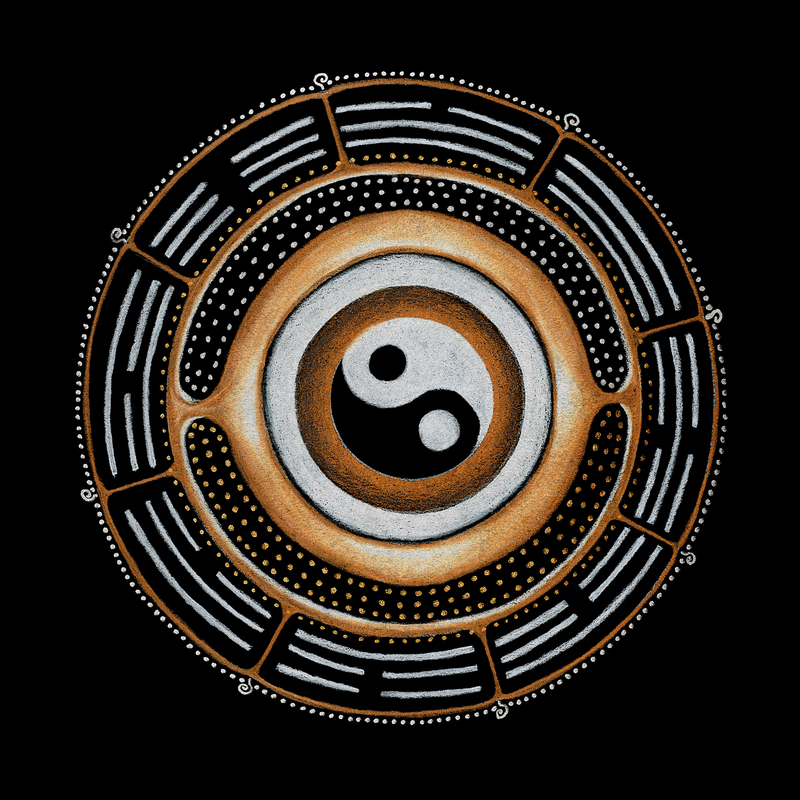 The dots within the Taoist symbol represent aspects of the other. Taoists see life as a continual balance between Yin and Yang, any shift to one extreme will be self-defeating. In the Taoist creation myth, Wu-Ji is the limitless space that produces Tai-Ji as the delineating force, thus creating sky (Yang) and earth (Yin). Sky and earth rejoin when man (Yang) and woman (Yin) consummate and become one. Taoism is based on indigenous beliefs in China from 5000-3000 BCE. Women were the primary healers, rainmakers and dream interpreters. Chinese culture moved from a matriarchy to a patriarchy when the focus shifted to morally perfected Sage-Kings. The heavenly FuXi Bagua was created around 2500 BCE. Lao Tzu (590 BCE) the father of Taoism, is credited with writing the Daodejing or “Book of the Way and its Power.” The sacral chakra feels this harmony and duality. Message: Find harmony in your life by embracing the opposites within you. Step out of being right and wrong by allowing your life to flow, become the observer. Go outside or near water to help open your mind to new ways of seeing and being that are waiting for you to experience. The Bagua used in Feng Shui is made up of eight trigrams. The combination of open Yin lines and solid Yang lines represents the eight aspects of nature. The Bagua legend tells of a time when Yang/sky joined with Yin/earth and created three daughters and three sons. Each family member represents an aspect of nature that is in constant in motion. This is also the basis of the I-Ching.